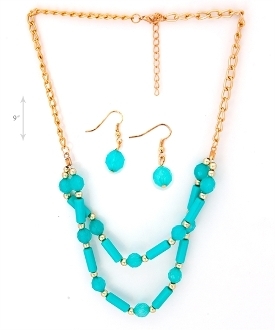 Double Line Bead Necklace and Earring Set. Beautifully crafted beads in colors for every occasion. This necklace draws attention and enhances the neck. Creates graceful lines. Comes in: Black; Orange; Baby Blue; Teal; Ivory; Baby Pink.